Durable yet made of some of the softest materials of stuffed animals! For the kid whether big or small who want to know what the fox say. 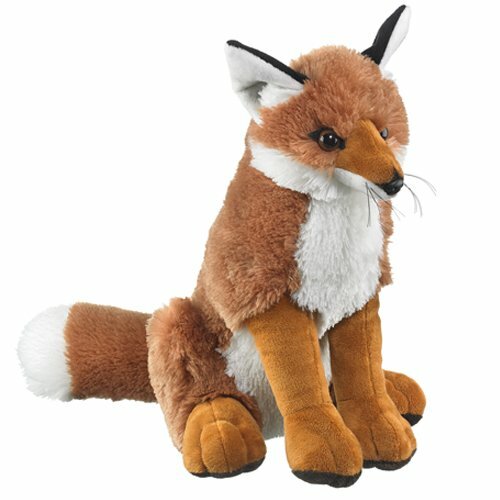 This FoxSits 14 inches high! Great for playing with, don't miss out on this one of akind Stuffed Animal. Anyone you get this for will put you as their favoriteonce they see this incredible fox! Give this big red fox to someone to becometheir favorite gift giver. Wildlife Artists Inc Conservation Critter is madeof some of the softest materials of stuffed animals.